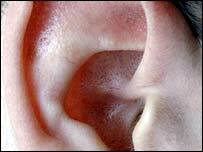 Vitamin E can help restore hearing in people who become deaf suddenly for no known reason, research suggests. This natural antioxidant has already been hailed as a potential cancer therapy by preventing or slowing damage caused by certain oxygen compounds. A study of 66 patients with sudden hearing loss, by the Technion-Israel Institute of Technology, found those given vitamin E made the best recovery. The work was presented at an Ear, Nose and Throat surgery meeting in New York. About 123,000 people in the UK experience sudden so-called "sensorineural" hearing loss. In a minority of cases, the cause is known. The culprit can be a viral or bacterial infection or trauma, for example. However, in about 85% of cases there is no obvious cause and this is called idiopathic sensorineural hearing loss. About two-thirds of people with idiopathic hearing loss will recover within days without treatment, but the others do not. All of the patients involved in the study had been admitted to hospital within the previous eight days for sudden hearing loss of an unknown cause. All were given standard treatment, which included bed rest, steroid drugs and a mixture of carbon dioxide and oxygen gas by a mask. Half of the patients were also given 400mg tablets of vitamin E twice a day. Although a similar number of patients in both groups recovered, the group that received vitamin E, along with usual care, did the best. These patients were more likely to have an improvement in their hearing of 75% or more by the time they were discharged from hospital, and had even greater improvement at later follow-up. Dr Arie Gordin and colleagues who carried out the research said their findings supported the work of others. Other scientists have found evidence of oxygen damage in the inner ear of animals exposed to noise trauma and drugs known to harm hearing. Munna Vio, from the RNID, which represents deaf and hard of hearing people in the UK, said: "This is a very encouraging study. "It's still a small trial and we would like to see more trials in more patients, but we are encouraged by the results." She said the RNID was funding similar research into antioxidants, including vitamin E, as a way of treating hearing loss.